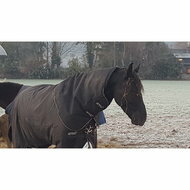 The Amigo Bravo 12 Plus Turnout Heavy is a strong 400g outer blanket with a waterproof and breathable 1200D polyester outer fabric and a smooth polyester lining. 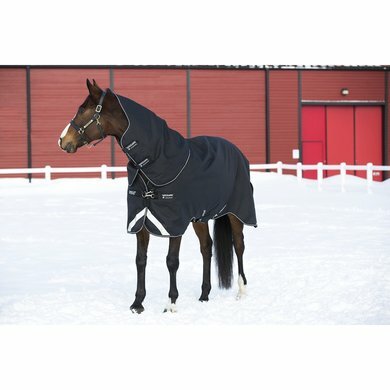 This blanket comes with a detachable neck and is fitted with the linersystem and thus has fastening rings for horseware liners and neckpieces. The blanket has a V-front chest closure which provides more freedom of movement. 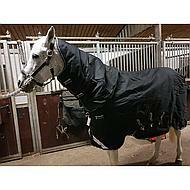 In addition, the blanket has recesses at the legs, reflective stripes and three cross surcingles. Finally, the blanket has a leg strap and a tail flap. Very fine blanket. Super fine fit and does not abrade. The moons remain intact even though my horse has her neck 24/7. 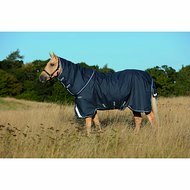 The blanket is super warm, waterproof and sturdy. My horse does not sweat even if it rages with it. The closures are very sturdy but easy to handle. She is also fully fed from top to bottom, which I find very good in cold temperatures. My mare is partially sheared and lives in the open stable. She actually wears this blanket all winter, with a neck piece. Unfortunately, at the end of the winter, the mane will be less at the point where the transition to the neck is. The blanket with solid, continuous neck would be nice, then the blanket would be perfect. 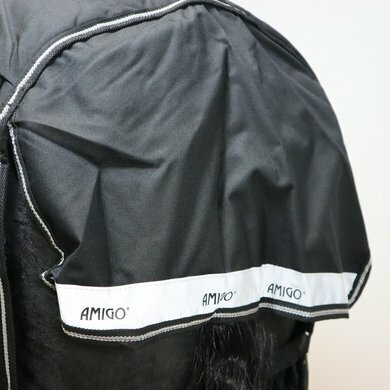 On milder winter days it seems too warm to me, then I always do my horse the Amigo Mio 200g up. This blanket does what he is made for. A neat blanket with 3 girth strings, which makes the blanket shift at least. Good chest closure. reflective strips is a plus. very solid thick blanket and no sanding dark color is fine because it looks less dirty. Question: How many grams is the supplied neck piece lined? Answer: The neck is 200 grams lined. Answer: Yes, the neck part is removable. Question: Question: how is the loose neck attached ?? 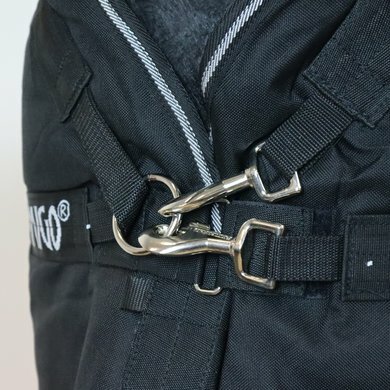 With hooks or velcro ?? Answer: The neck is attached to rings of the blanket via Velcro. Question: What substance is on the inside of the blanket? Answer: There is a nylon lining in the blanket. Question: How many grams of filling is the blanket? Answer: The filling of this blanket is 400 grams. Question: Is the neck near the blanket or do you have to buy it separately? Answer: This blanket comes with a detachable neck piece. Question: Does this blanket have a V closure? Answer: As can be seen on the picture, this blanket has indeed a V chest closure. Question: How many grams of filling is the blanket and how many grams of filling is the neck? 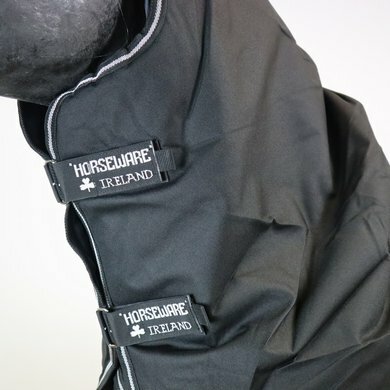 Answer: This blanket is 400 grams lined and the neck is 200 grams lined. Question: With how many grams is the neck of this blanket lined? Answer: This is 250 grams lined. 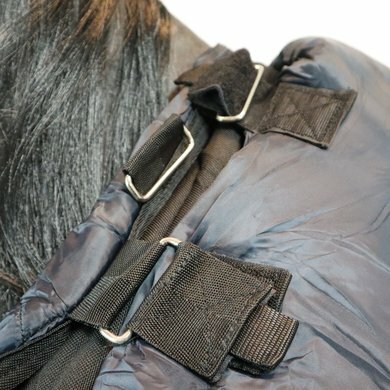 Question: Is this blanket including neck, belts? Answer: This blanket includes a neck piece. 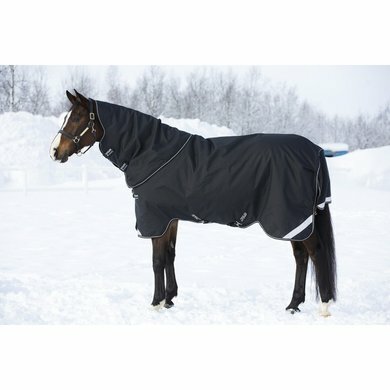 The blanket has no belts, just a tail cord under the tail. Question: How much denier is this? 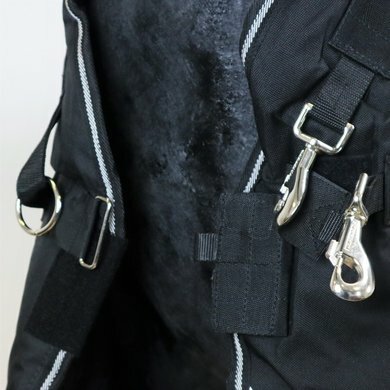 Is the neck included? Answer: This blanket has a neck and the fabric is 1200 denier. 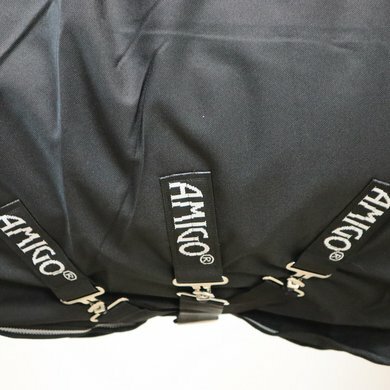 Answer: The Amigo® Bravo 12 Plus Turnout Heavy is a waterproof breathable blanket. 1200D polyester outer material and 400 grams filling. Question: This blanket is 300g? Answer: This blanket is 400 grams lined.